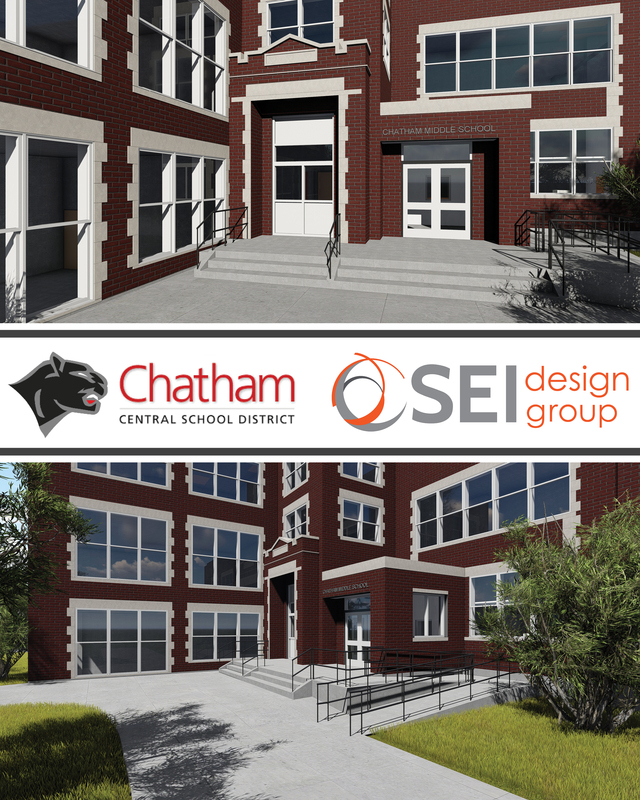 With a successful bid under our belts, we are looking forward to an action-packed summer of construction at Chatham CSD. Renovations will span the Middle, Elementary, and High Schools, as well as the Bus Garage. Highlights include a secure entrance addition (pictured above), kitchen renovations, roofing replacement, and mechanical system upgrades.